2016 Long Island Poet of the Year! WWBA is pleased to announce Gayl Teller as 2016 Long Island Poet of the Year, an annual award given by WWBA to honor a notable poet on Long Island who is well known and well-respected. Gayl champions poetry through her writing, and also through her teaching and support of the Long Island community of poets. Nassau County Poet Laureate for 2009-2011, Gayl Teller received an MA from Columbia University and another MA from Queens College, CUNY. Her six poetry collections are At the Intersection of Everything You Have Ever Loved (San Diego Poets Press, 1989); Shorehaven (Mellen Poetry Press, 1996); Moving Day (Providence, RI: Premier Poets Series, 2001); One Small Kindness (Austin, TX: Plain View Press, 2003); Inside the Embrace (WordTech/ Cherry Grove,2010); and most recently, Hidden in Plainview (WordTech/Cherry Grove, 2015). She is the editor of Toward Forgiveness, an anthology of poems (Writers Ink Press, 2011). Internationally and widely published, her poems have appeared in Poem, The South Coast Poetry Journal, Phoebe, The Sow’s Ear Poetry Journal, Paterson Literary Journal, Freshet, Poetrybay: Long Island Quarterly, Spring, Swansea Review, The Second Genesis, Newsday, The Long Islander: Walt’s Corner, The Hartford Courant, and in many other distinguished publications. Director and founder of the Poetry Reading Series, under the auspices of the New York State Council on the Arts, at the Mid-Island Y JCC, in Plainview, NY, for the past twenty years, she reviews the works of feature poets and judges the annual poetry contest for children, teens, and adults. She has been teaching in the English department of Hofstra University since 1985. 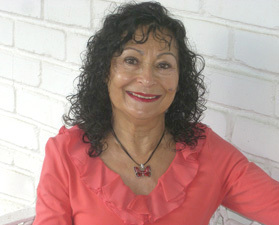 As Nassau County Poet Laureate, she originated “Stray Feet,” a roving poetry show visiting schools, senior and rehab centers, nursing homes, and libraries in Nassau County, and in 2010, her workshops/anthology project “A Poetry of Forgiveness” was awarded a New York State Council on the Arts Decentralization Grant for the Arts, which culminated in her editing Toward Forgiveness, an anthology of 99 LI poets, including five poets laureate, published by Writers Ink Press, in 2011. She has conducted numerous poetry workshops and seminars and been the feature reader at many universities, poetry centers, theaters and libraries. She has served as a judge in the Poetry Out Loud National Recitation Contest, which encourages the nation’s youth to learn about great poetry through memorization and performance. She is the recipient of the Westmoreland Arts & Heritage Festival Poetry Award, the Edgar Allan Poe Prize, the Peninsula Library Poetry Prize, a National Federation of State Poetry Societies Prize, a National League of American PEN Women Prize, and The Connecticut Writer Prize; One Small Kindness was a finalist for the Blue Light Poetry Prize. In 2011, she received The North Sea Poetry Scene Recognition Award and in 2012, the Special Service Award from the Mid-Island Y JCC. Her poems are widely published and anthologized, and her reviews of poetry books have appeared frequently in Small Press Review. Her website is www.gaylteller.com.